As we promised, we are introducing a resort or hotel with an Aegeo spa every month – this time, Cretan Pearl Resort & Spa, a lovely destination, not far from the beach at Stavros, famously known as Beach. 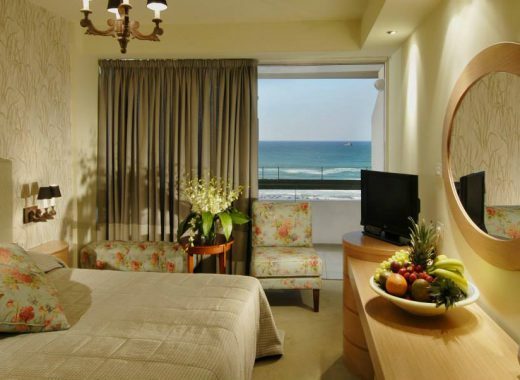 The Cretan Pearl Resort & Spa enjoys a blissful location on the Akrotiri peninsula. It boasts stunning sea views, luxury accommodation, and a relaxing spa area, which offers all kinds of treatments and therapies, as well as signature Aegeo Spa packages that will pamper you like a VIP. You have a choice of beauty and care treatments for your skin, after sun facials, mud masks, olive and lavender exfoliation, Cretan herbs exfoliation, body masks with coffee, Cretan massage, reflexology, hot stone massage, Aegeo rituals, and much more. The wellness area has a traditional sauna and a refreshing indoor pool too. 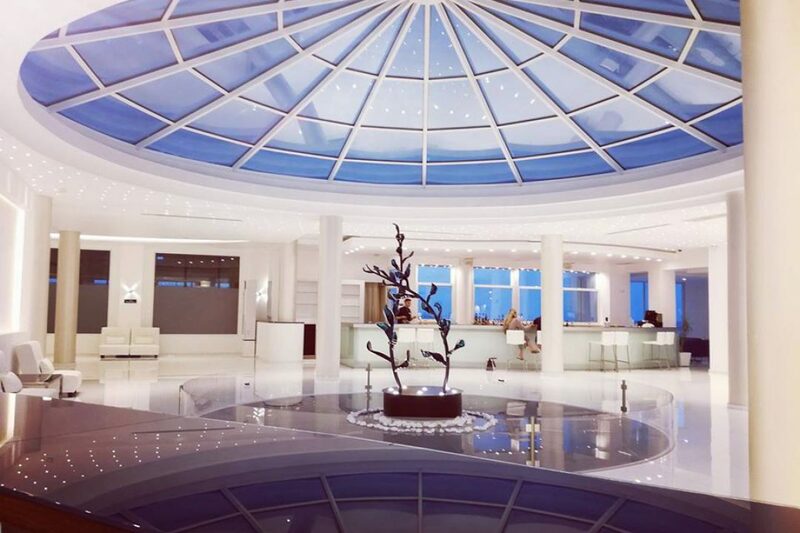 Consider Cretan Pearl Resort & Spa the perfect starting point to explore Akrotiri. 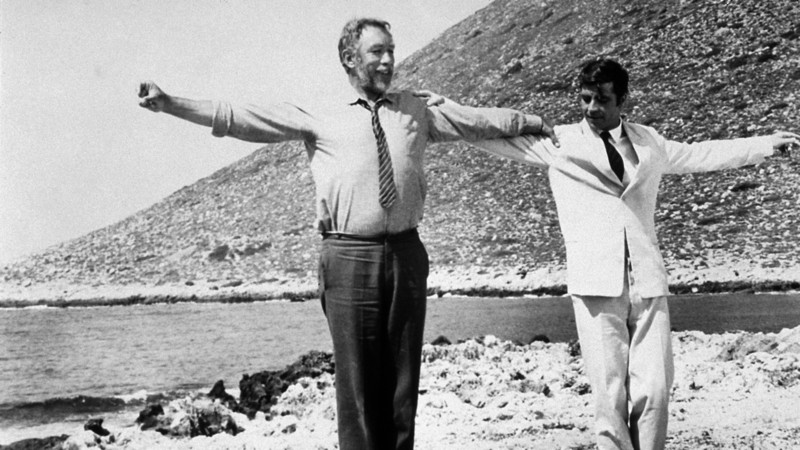 You can reach the Stavros Beach where the famous scene from the movie Zorba the Greek where Zorba (Anthony Quinn) and Basil (Alan Bates) dance the Syrtaki was filmed in about thirty minutes walk from the resort or five minutes by car. But this famous beach is not the only one that will fascinate you when you stay at this resort with an Aegeo spa. Maherida Beach is equally enjoyable if you don’t care too much about exploring Akrotiri in the footsteps of Zorba the Greek. The beach lays at the shore of a small bay with clear, calm waters. Not far, you will find the pond of Macherida, which is a welcoming natural habitat for all kinds of animals, including water snakes, turtles, and birds. Further on the west side of Cape Akrotiri, Tersanas Beach, which is also the harbor of village Chorafakia, is somewhat popular with tourists – mainly with families with small children. Lovers of nature can also choose to hike in the Stavro Chordaki Dimou Akrotiriou area, which boasts beautiful views of the Sea of Crete. There’s a lot to explore, and the terrain is generally unspoiled so go prepared with water and food if you plan a long hike. You’ll also find religious landmarks like the Katholiko Monastery near the exit of the gorge Avlaki when you hike here. Katholiko is the oldest monastery of Crete, unfortunately in ruin today, next to the cave of St John the Hermit. Speaking of caves, one of the most interesting caves of Stavro Chordaki Dimou Akrotiriou is Lera, which is also known as Pan. It’s ten minutes by car from Cretan Pearl Resort & Spa, or less than 45 minutes if you decide to hike through the villages of Stavros and Galini. The cave stands 70 m above the sea level on the slopes of Vardies Mount, offering stunning views of the Stavros lagoon. It is considered a sacred cave as it was a possible site of worship for Pan and his nymphs. Besides all these landmarks you can explore much more when you stay at Cretan Pearl Resort & Spa – just take your time to discover Akrotiri, and don’t forget to reserve an hour to get pampered when you get back from your journey with luxury treatments designed by Aegeo Spas.